This is a quick reference guide of the formats best suited to transfer data into Petrel. Insight also supports connections to Petrel using the Petrel Link. This is a separate module that enables users to establish a bi-directional link to view, edit and transfer objects between Insight and Petrel. For more information, see Insight and Petrel Overview. If you are interested in attaining this module, contact our sales team at sales@dugeo.com. Tip: You can also send interpretations to Petrel by using Insight's context menu, see Send an Item to Petrel. 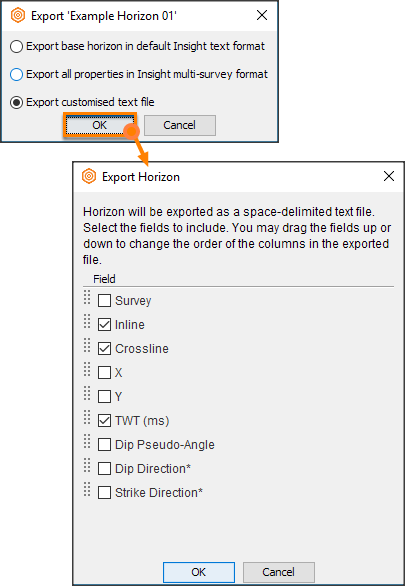 Horizons in Insight can be exported as a simple customised text file with columns (X/Y/IL/CL/Z or X/Y/IL/CL/Attribute) that can then be modified for import into Petrel. Choose Export>>Export customized text file. For more information, see Horizon Export Formats. In Petrel, select General lines/points (ASCII) format when importing a horizon. Make sure your columns are mapped properly, and to select the correct Z data type and Coordinate Reference System (CRS). See also How do I send horizon attributes / amplitude extractions to Petrel? 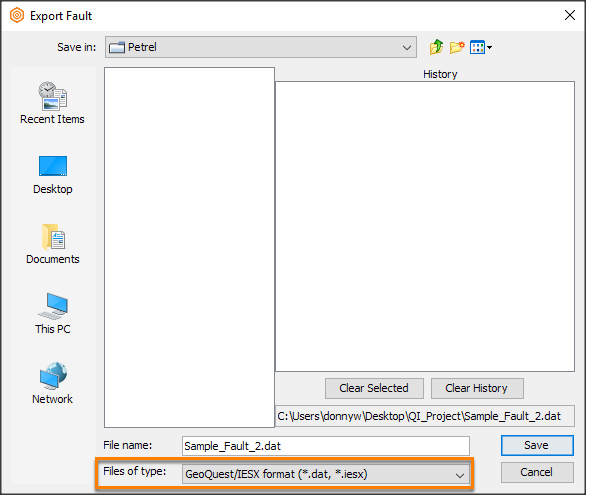 Fault surfaces are exported from Insight in Geoquest/IESX format. 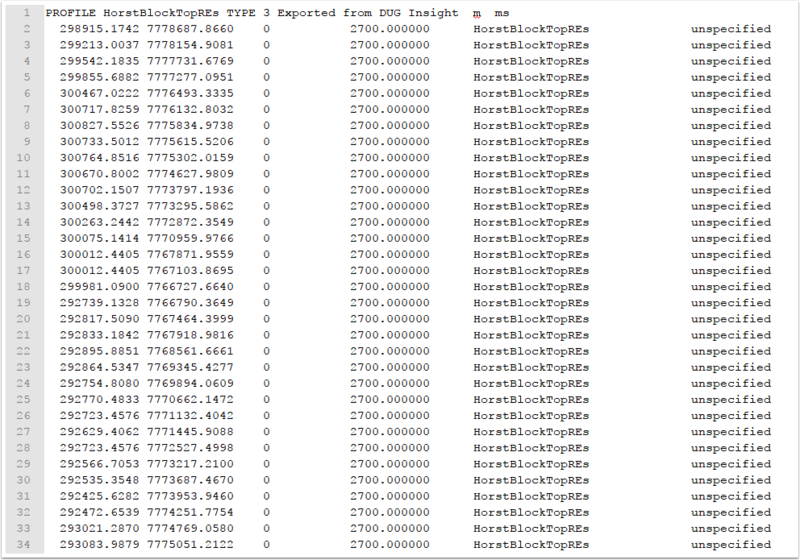 In Petrel, select the IESX fault sticks (ASCII) format when importing a file. If you do not have a CRS defined, you will be prompted to choose a CRS or continue spatially unaware. 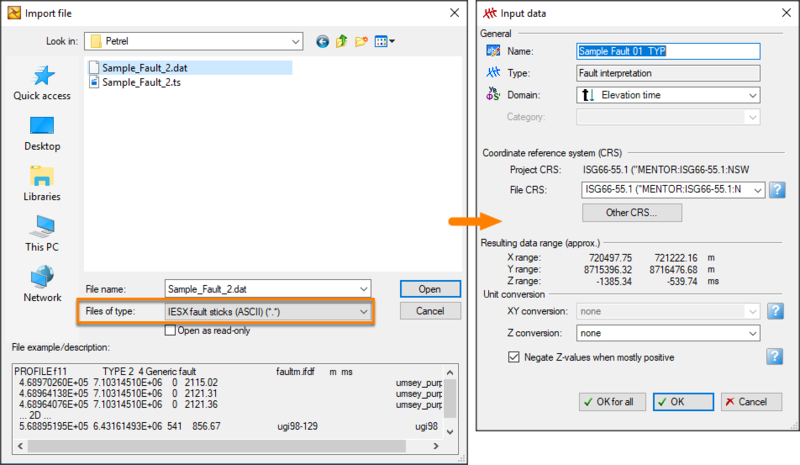 Make sure to select the correct Domain and CRS in the Input Data window. Prev: Why is the Petrel Link showing me a different project after connecting? Next: How do I transfer an on-the-fly horizon to Petrel?